A news article featuring research conducted by group member Shannon Taylor (co-advised with Ramille Shah) and Adam Jakus (Shah Group) has been featured on the McCormick news website! The full article: "A New Way to Print 3-D Metals and Alloys" can be found here. Congratulations to Fernando Reyes, who received a 2016 National Science Foundation (NSF) Graduate Research Fellowship Program (GRFP) Fellowship. Materials360online is featuring André Röthlisberger and Prof. Ralph Spolenak's work on directional freeze-casting of tungsten metal foam. The full article: "Directional freeze-casting method produces highly structured metal foams by ice-templating" can be found here. Congratulation to Hyeji Park for receiving a poster award on Morphological Study of the Cobalt Foam Fabricated by an Ice Templating Method at the Korean Institute of Metals and Materials (KIM), which is the largest annual conference for metallic materials in Korean. We hope to see you again soon, Hyeji. Congratulations to group alumna Cathrine Yun and her husband Joon on the birth of Lucy Nicole Yun on May 27 at 1:01am. She weighed 7 lbs 15 oz at 20.5 inches long. Northwestern experiment will soon be orbiting the Earth! A team of students in the group recently received an award from NASA to send freeze casting experiment into the orbit. Check out the news featured on Northwestern Engineering News for more information. 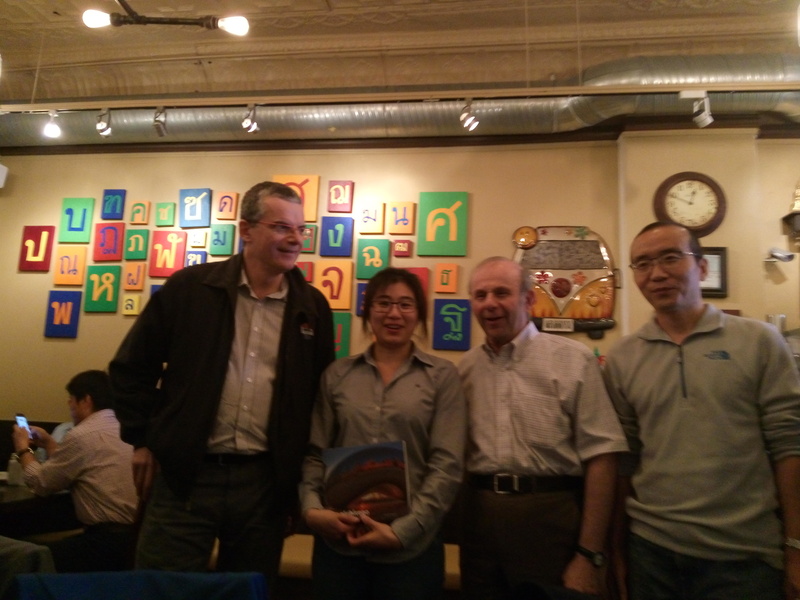 Congratulation to Dr. Hunhui Cho for his next career endeavor in academia. He will be joining Hanbat Nationationl University of Korea as a faculty member this Fall. More information about the university can be found here. Northwestern experiment is going on to the international space station! David and Krysti's proposal on "Microstructure Evolution in Freeze-Cast Materials" is accepted by NASA as part of the MaterialsLab Program. MaterialsLab Program aims to accelerate materials development by using experimental data generated on the orbiting laboratory. NASA press release can be found here and Northwestern University featured news can be found here. Congraulation to our group alumna Ampika and Alan Brothers in adding Damon to their family! We hope little Damon will one day become a great Materials Scientist too! Congraulation to Krysti Scotti in being the Highly Commended Entrants and the Global Winners in US and Canada Region in the Mathematics & Physics category of The Undergraduate Awards 2016! Krysti's work on ICE-TEMPLATING IN MICROGRAVITY: Toward the advancement of environmentally responsible materials processing on Earth and in space is considered as highly commended in the Mathematics & Physics category. Krysti will be travelling to Dublin later this year for the award ceremony. Congraulation to Hyeiji Park in winning the Korean NRF global Ph.D. fellowship award, a highly competitive Korean award where about 200 students are selected from all academic areas including medical, humanity, and business schools. She will be working on 3D printing in the group led by Professor Heeman Choe, while visiting Northwestern University on a regular basis to work with Professor Shah and Professor Dunand. The group bids farewell to Pam Yipyintum who will now return to Chulalongkorn University, Thailand to complete her PhD study and Dr. Pinkui Ma who is returning to Julin University, China. Best of luck, Pam and Punkui. We hope to see you again. Congraulation to Hyeiji Park in winning another poster award at a Korean metallurgy conference (Korean Institute of Metals and Materials, the biggest materials conference in Korea). 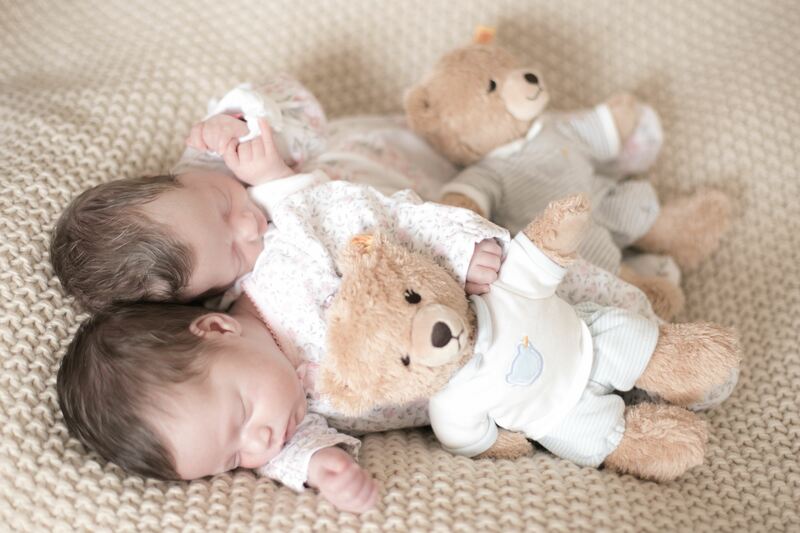 Congratulations to our group alumni Dr. Christian Greiner and her wife Alexandra on the birth twin daughters Mathilda and Miriam few weeks ago. Wish the best for their family during the holiday season!